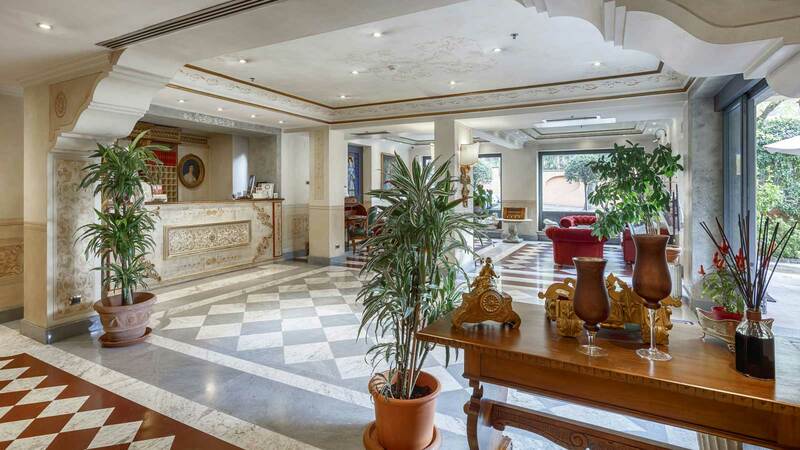 Hotel Villa San Pio is composed of three villas located in the heart of a pleasant Mediterranean garden, a haven of peace and tranquility in Rome! Discover the charm of ancient Roman houses with discreetly Baroque interior decorated with marble floors, murals, paintings, vaulted ceilings, empire style furniture and oriental rugs. 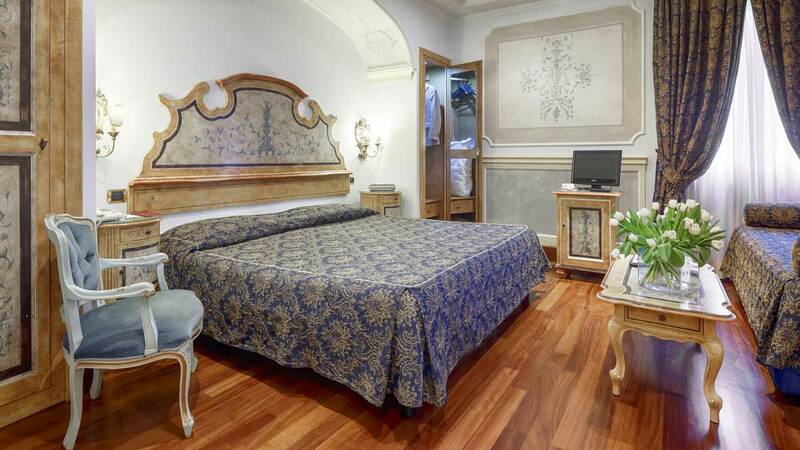 Villa San Pio has 78 rooms with marble bathrooms (some of them with jacuzzi). All are equipped with air conditioning, minibar, safe, satellite TV, Internet connection … Some rooms have a balcony or terrace overlooking the rooftops of Rome, historic palaces and ambassabes, all enhanced by the magical sunsets. During the summer months, breakfast will be offered in a restricted area of the garden. The very warm welcome from the staff at this romantic hotel (classification guide Gambero Rosso, 2004/2006) will contribute to your wellbeing.